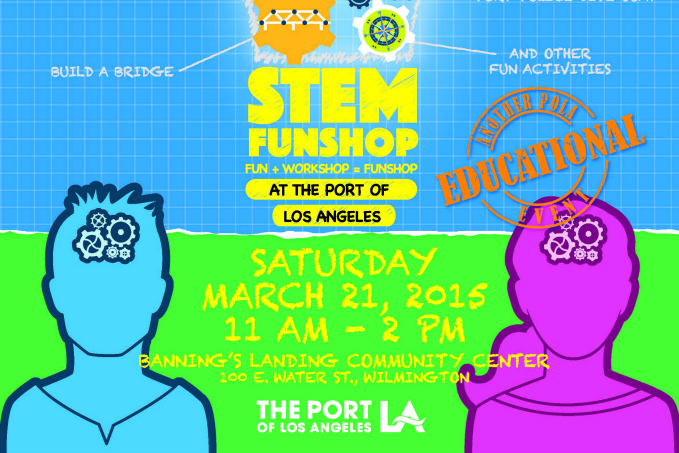 Join us at Banning’s Landing on March 21st for a free family-friendly STEM event sponsored by the Port of Los Angeles. We’ll be showcasing our TopSail STEM Program – a pilot program that it is in full swing with Wilmington Middle School. STEM learning has always been part of our TopSail program, but now we’re making it official! 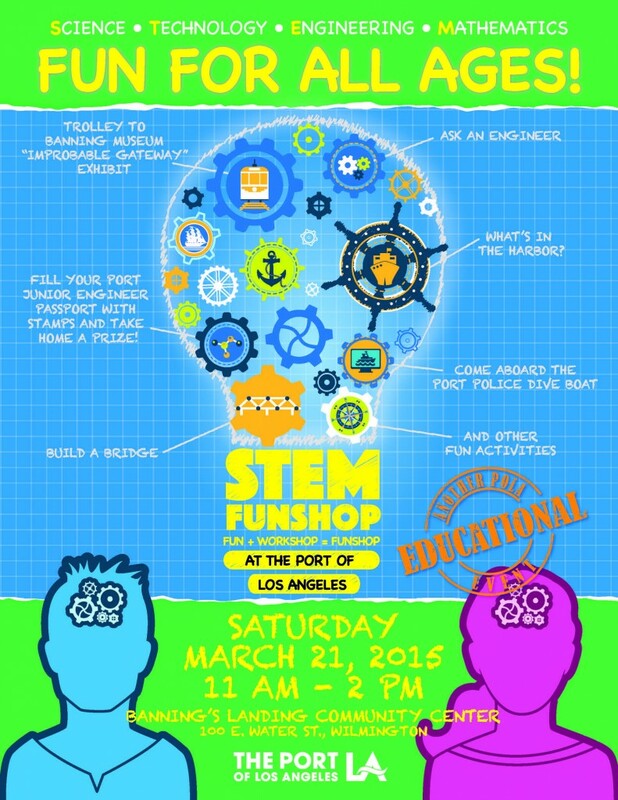 STEM Funshop, an educational event for students of all ages designed to stimulate the brain with activities centered around Science, Technology, Engineering and Mathematics (STEM). Join us for an unforgettable Family Adventure as we join the Port of LA in celebrating Holidays by the Sea at the new Downtown Harbor.